For the last several years the church that I have served since 1986 has provided a month’s Sabbatical leave every year. There have been years that I’ve not been in the position to take advantage of this gracious provision and a couple where the Sabbatical had to be cut short due to circumstances beyond my control. But on those occasions when I have been able to withdraw from a full month of my pastoral responsibilities, the benefits have been measurable. 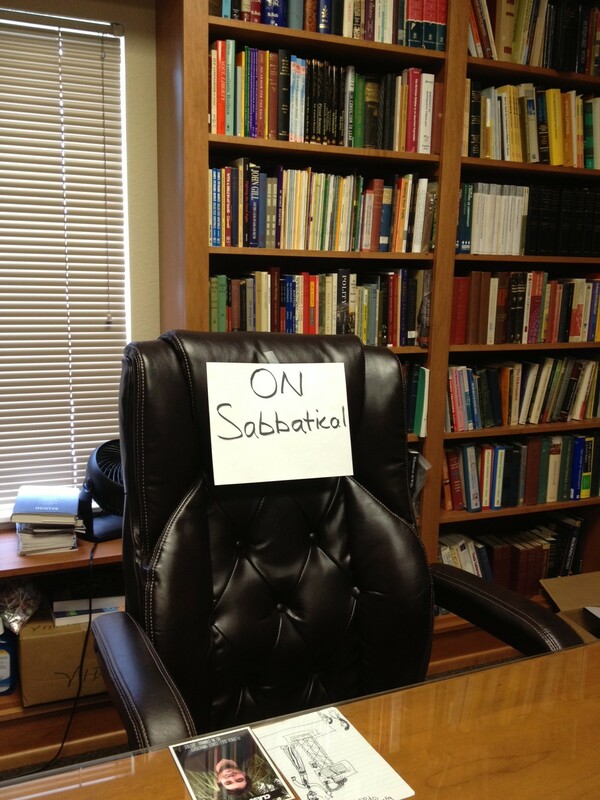 A Sabbatical is not a vacation, though it does provide an opportunity for rest and rejuvenation. Typically, I have a study and writing agenda for the month. That is true again this year. I plan to do some targeted reading and planning as well as some research and writing on a project related to the role of the church in discipleship. I also have some fun days marked on the schedule and look forward to spending some unhurried time with family. I also intend to disengage from social media, email, blogging and texting. And, I intend to stay off the phone as much as possible. If anything significant happens between now and September 1, send up smoke signals, will ya? If your church has never provided a Sabbatical leave for your pastor, why not consider it? Here is good article by Matt Schmucker that provides some helpful guidelines to start the conversation. If the Lord brings me to mind during the next several weeks, please pray that I will redeem this time for the good of my own soul and the benefit of the kingdom and the church I serve.